Current productions include Wynonna Earp, a supernatural series for Syfy and Space in its third production season, Heartland, a family drama series in its eleventh broadcast season on the CBC, and Damnation, a co-production with NBCU for USA. Previous series include Young Drunk Punk, Wild Roses, Dynosapian, The Shoebox Zoo, Tom Stone, North of Sixty and The Ray Bradbury Theatre. Television movie and mini series include Borealis, Burn Up, Mayorthorpe, Waking Up Wally, and After the Harvest. Feature film co-productions include Brokeback Mountain, The Assassination of Jesse James by the Coward Robert Ford and Resurrecting the Champ. Tom is a current board member and past Chair of the Canadian Media Producers Association and the Alberta Media Production Industries Association. 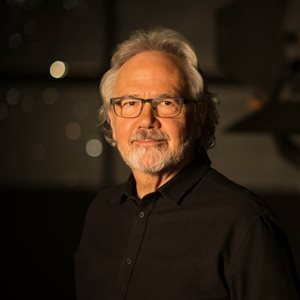 He is a member of the Banff World Media Festival Foundation board of directors, and past Chair and board member of the National Screen Institute. He has served on the Alberta Film Advisory Council and the Premier’s Council on Culture. Tom is a recipient of the Queen Elizabeth II Diamond Jubilee Medal in recognition of his contribution to the arts.